Keep your cello safe with the 1003XL Shamrock Hightech Cello Case. 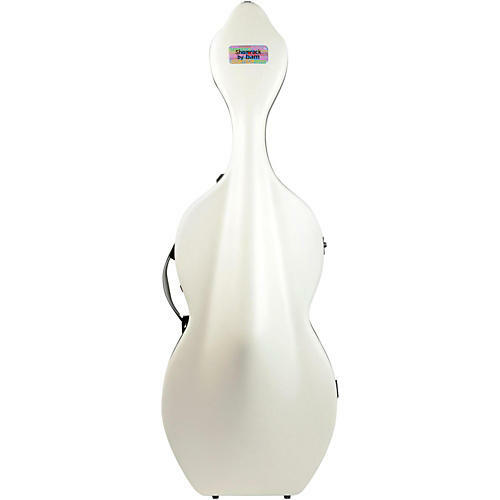 With an exterior triple-ply shell made of ABS, Airex foam, and another type of ABS and an inside with injected foam cushions that totally suspend your cello, your instrument will be able to travel to an fro without any worry of big bumps or drops harming it in any way. When not in use, you can stand it up safely thanks to antislip and antiwear rubber patches on the bottom of the outer shell. The case includes two bow holders and scroll and neck straps inside. It's easy to carry with two side handles and even backpack straps too. 52.4" x 19.7 x 11.8"